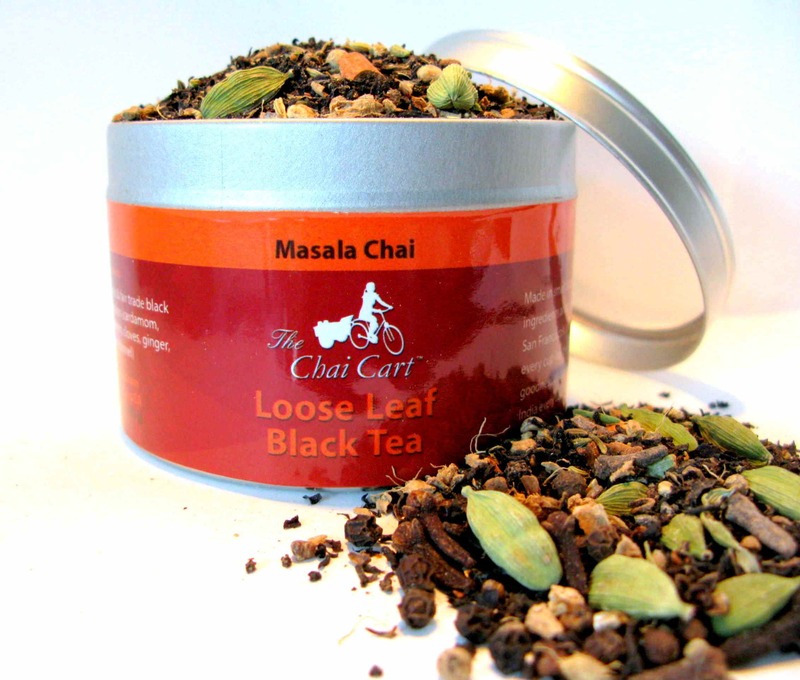 Our Masala Chai is a blend of full-leaf black tea and various whole spices. Beautiful to look at and aromatic, this blend makes a bold, fragrant and smooth cup of Masala Chai that will transport you to India in just one sip. The key to a good cup of chai is the tea itself. The tea used in our Masala Chai comes from the organic estates of Assam — the leading tea-producing region in India. The magical mix of seven spices — ginger, cardamom, cloves, cinnamon, fennel, and black and white pepper — is perfectly balanced so that no single spice dominates the palate. The boldness of cloves and the spice of ginger are balanced with the fragrance of cardamom and the sweetness of cinnamon. Fennel and white and black pepper add further layers of complexity. This blend creates a perfect cup of the traditional Indian Masala chai every time. Reuse the tin container as gift/jewelry box or to store spices. If you’ve read some of my past reviews on chai blends, you’d know that while I consider chai to be a favorite of mine, I am also quite biased when it comes to chai. I generally do not steep my chai in the traditional “stovetop” method using a combination of boiling water and milk because I find this method to be too messy. Therefore, it is important to me that the chai can be steeped “my way” – using my smart tea brewing device – and still taste delicious. If I am going to make a chai latte, I steep it strong (using less water and a little extra leaf) to compensate for the addition of the milk after it’s brewed. This chai tastes wonderful using my method! The spices are quite harmonious. While I can taste notes of many different spices here – cardamom, cinnamon and pepper, among others – I am finding that no one spice seems to overwhelm the others. The result is a smooth taste that seems to envelop me in a warm blanket of spice and tea. The black tea base is a robust Assam. It is strong enough to withstand the strength of the spices without losing its flavor in the mix. The Assam is rich and a little malty. There is some astringency to the Assam, but it is barely noticeable in the presence of the spice. One thing that I do notice, however, is that this Assam is not bitter. It is just bold yet smooth and very delicious. When I brewed this tea the first time, I prepared it as a latte, adding steamed milk to the brewed liquor. As a latte, I found that the flavor of the spices softened somewhat. At first, I found this a little disconcerting; however, as I continued to sip on my chai latte, the flavors intensified. The latte is smooth, creamy and rich, with a very pleasing spice kick at the end of the sip. The second time I tried this chai, I decided to try it without the milk. And it is absolutely lovely without milk too! It is wonderfully spicy – but not overwhelming. Warm and soothing and delightful! So, it turned out that this is quite enjoyable both as a latte and without the milk. I also recommend infusing the tea at least twice. I think I actually enjoyed the second infusion more than the first. The flavors of the spices seem even more harmonious the second time around, and the Assam is a little less distinct, but, still very good. A very pleasant chai – one I would recommend to all those chai lovers out there!